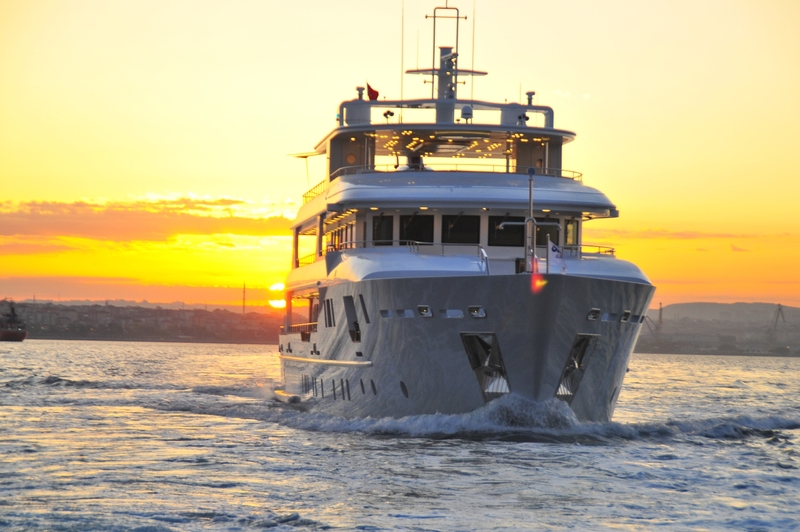 Built by the Turkish shipyard Orkun, the 2012 motor yacht PALMARINA is a stately 45.2m (148'4") long and well-equipped motor vessel. 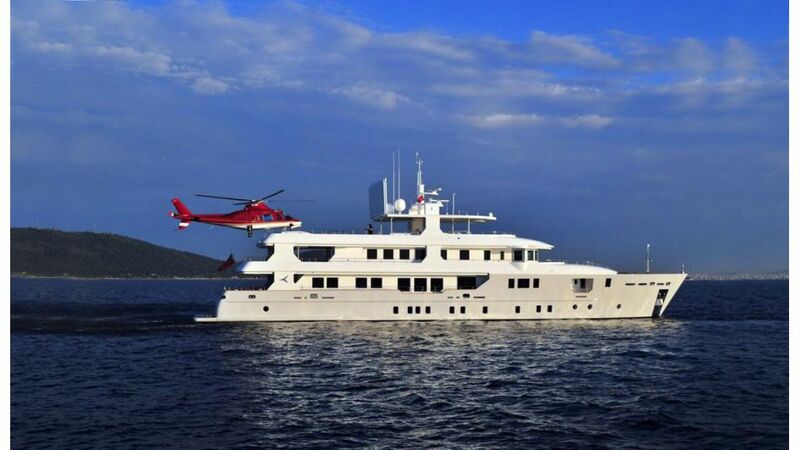 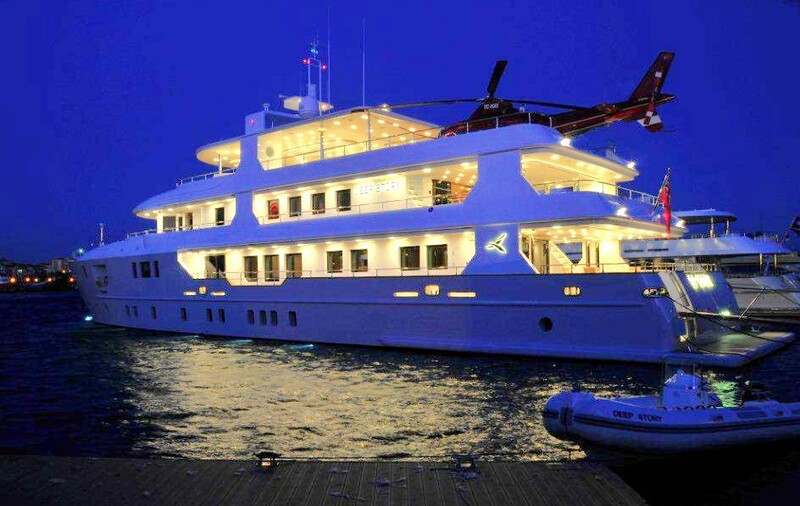 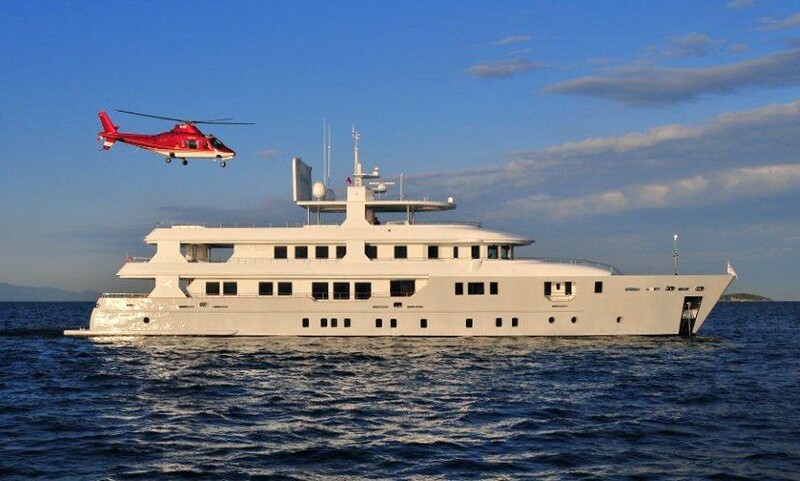 She boasts a helipad and has long-range capabilities. 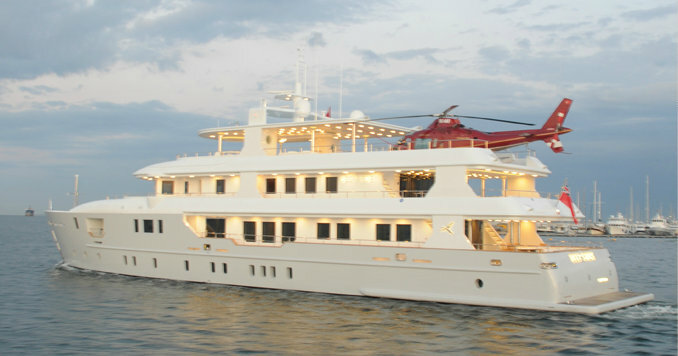 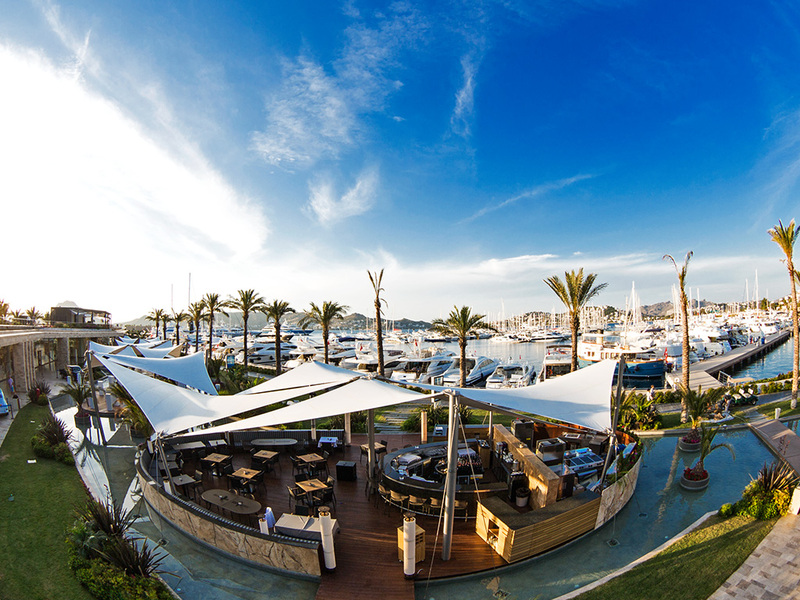 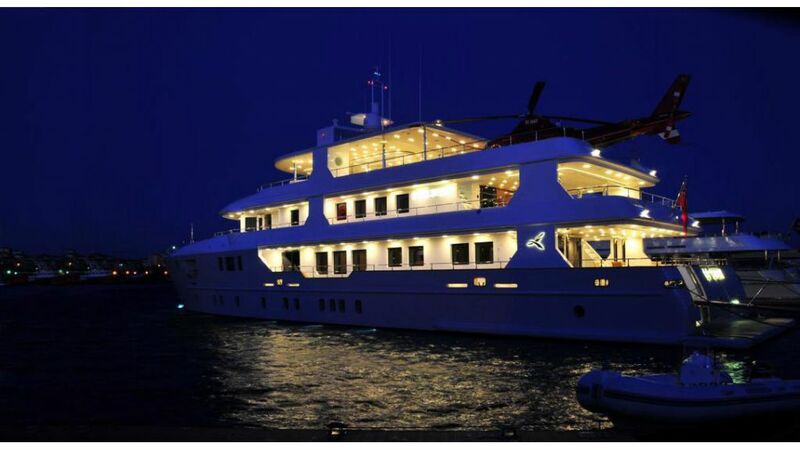 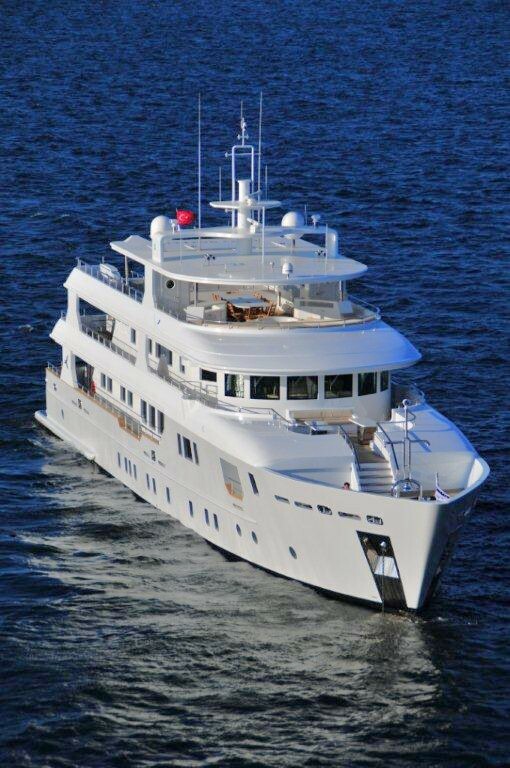 PALMARINA is available for luxury yacht charters for up to 12 guests. 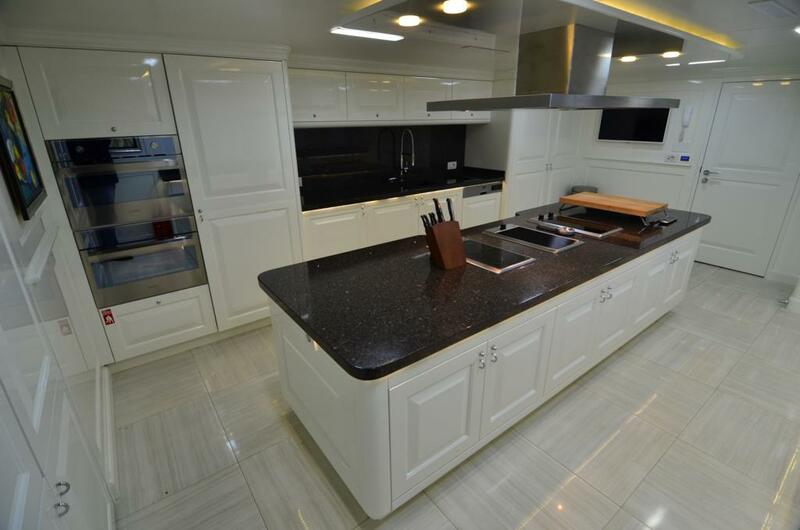 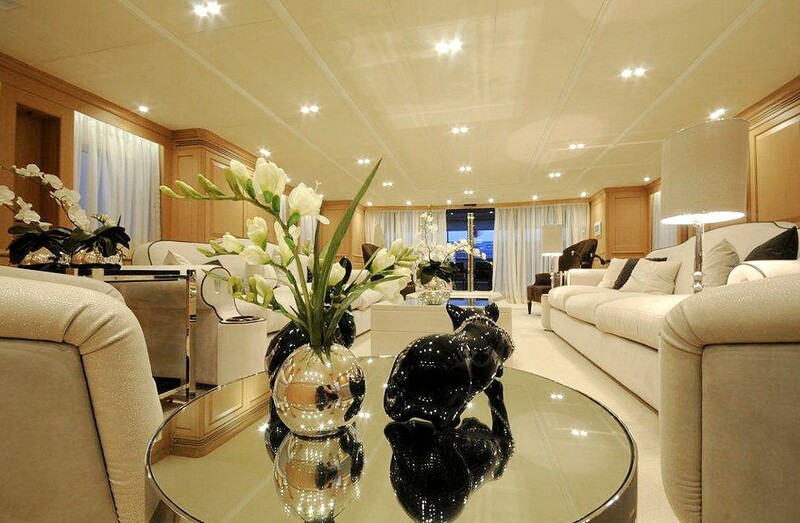 She offers a contemporary, elegant interior. 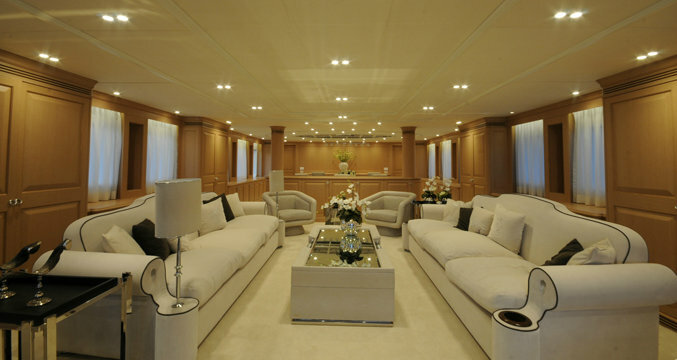 The salon features ample seating in a social atmosphere with two large sofas, four comfortable occasional chairs and coffee tables. 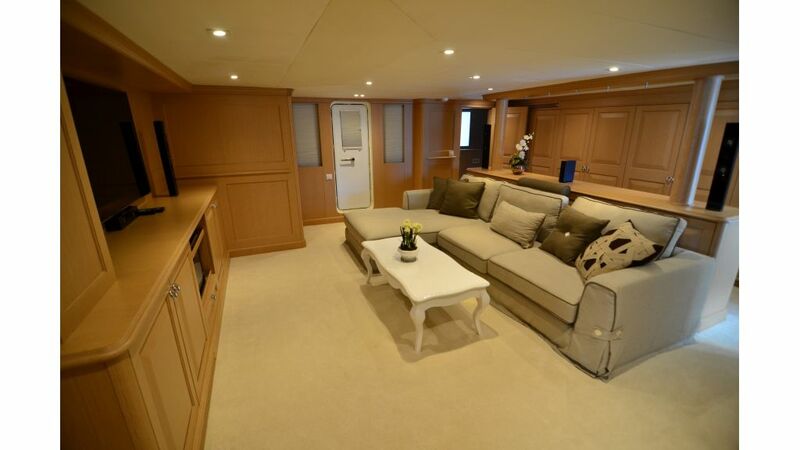 Subtle cream carpets, beach toned wood panels and plenty of natural light enhance the spacious feel. 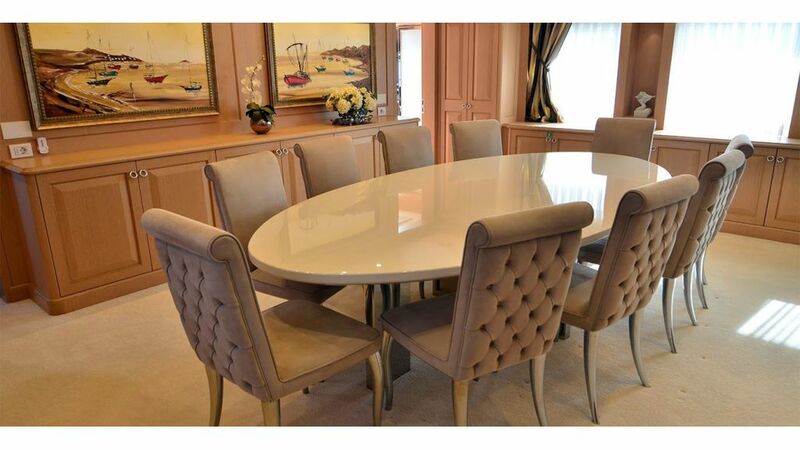 Forward of the salon, a low island credenza gives casual separation to the formal dining area. 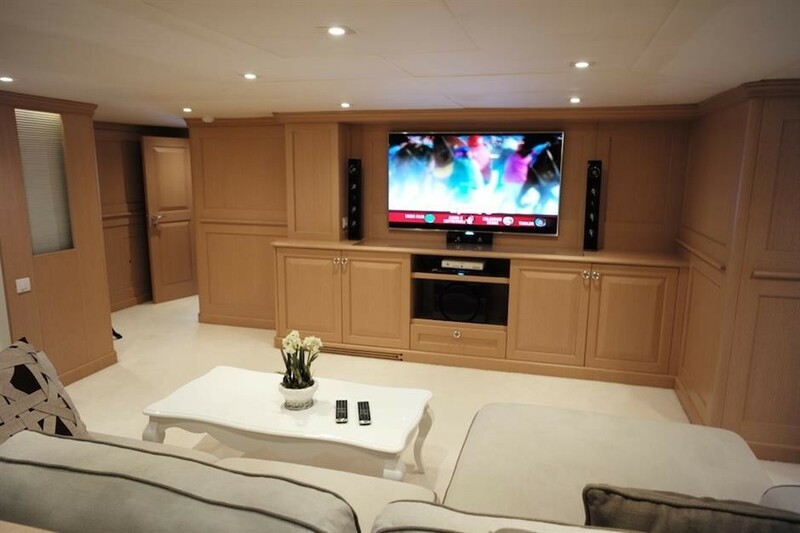 A private media room is also available with plenty of seating and a state of the art entertainment centre. 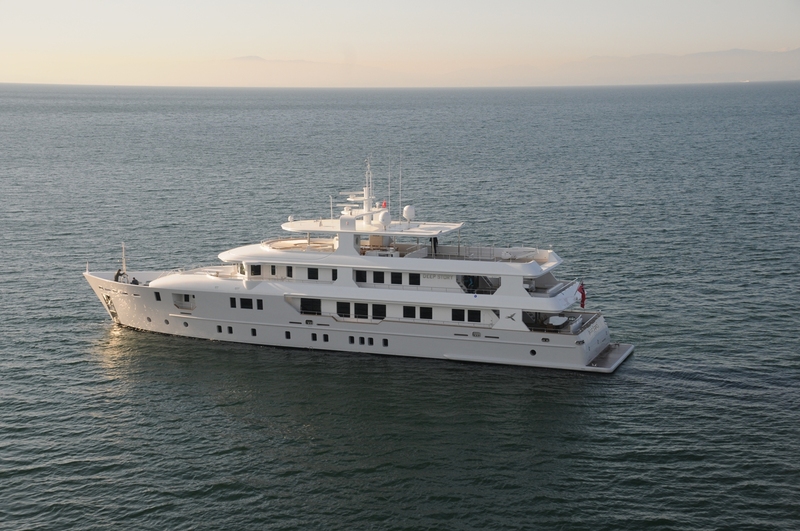 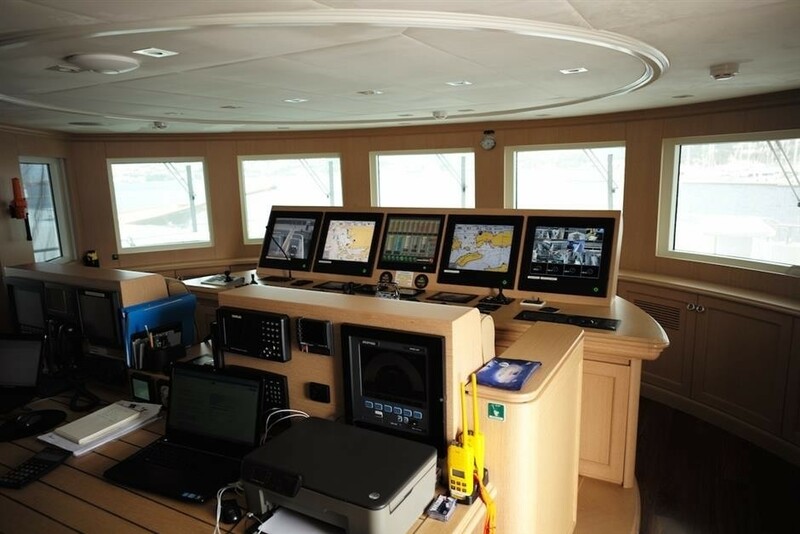 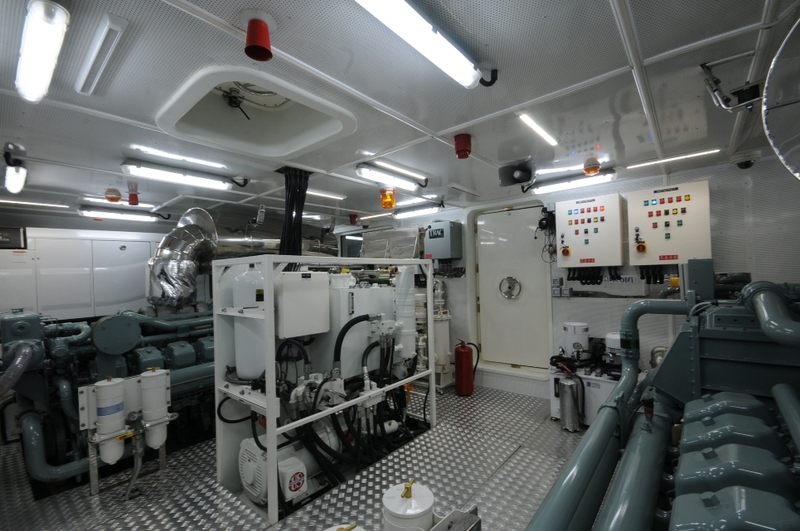 The exterior design is the work of the Orkun shipyard and offers a tri-deck layout, ample deck space and an optional helipad. 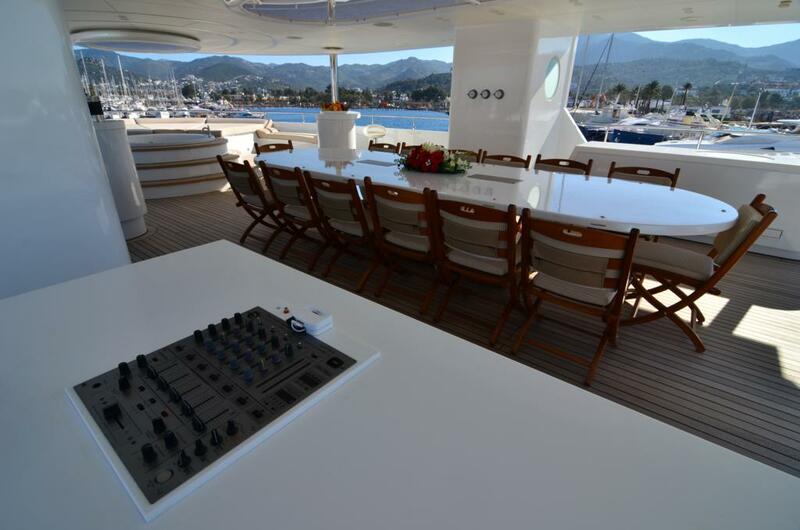 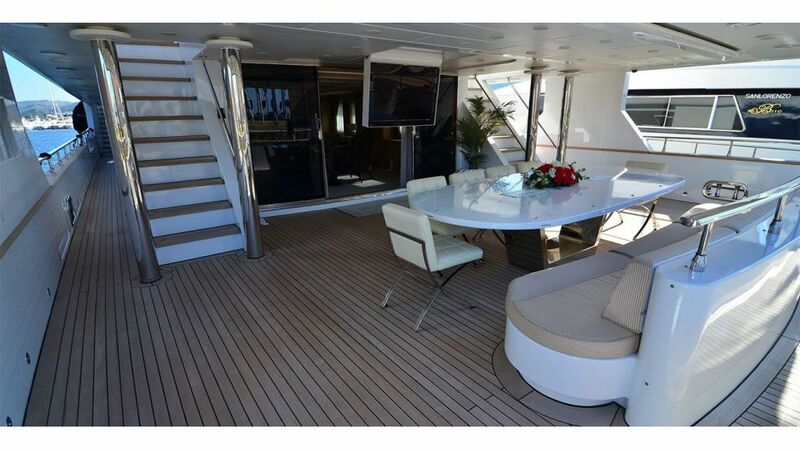 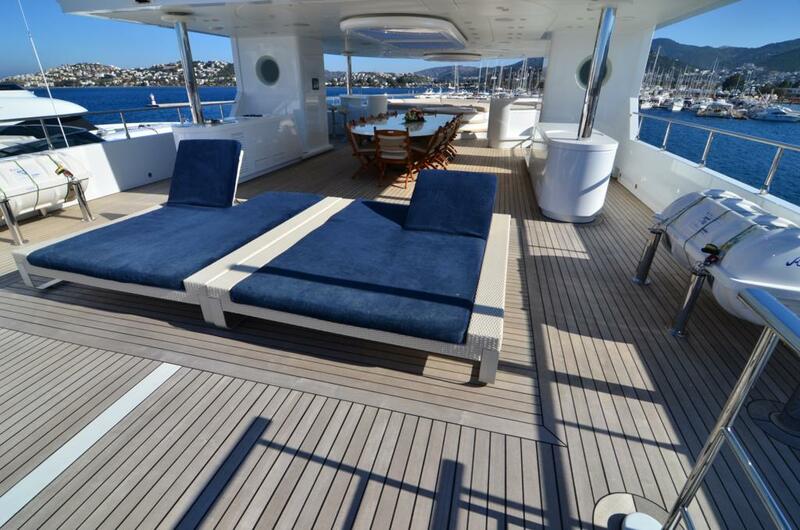 The main deck features a large aft deck, with an alfresco dining option. 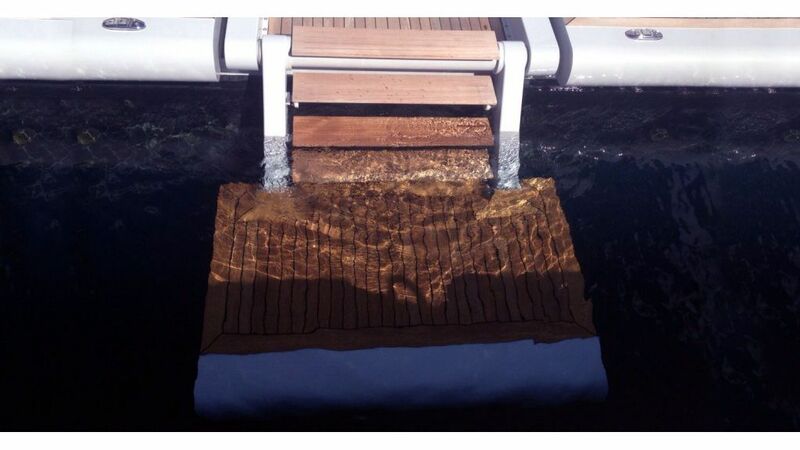 Further aft, the full beam extended swim platform is ideal for making use of the many water toys on offer. 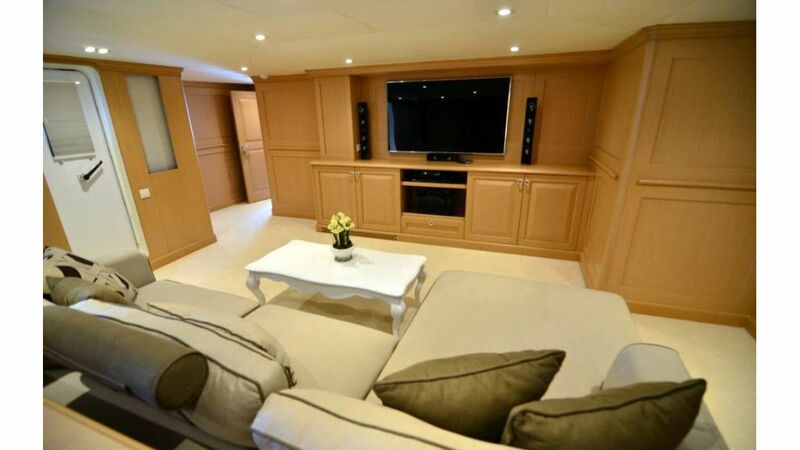 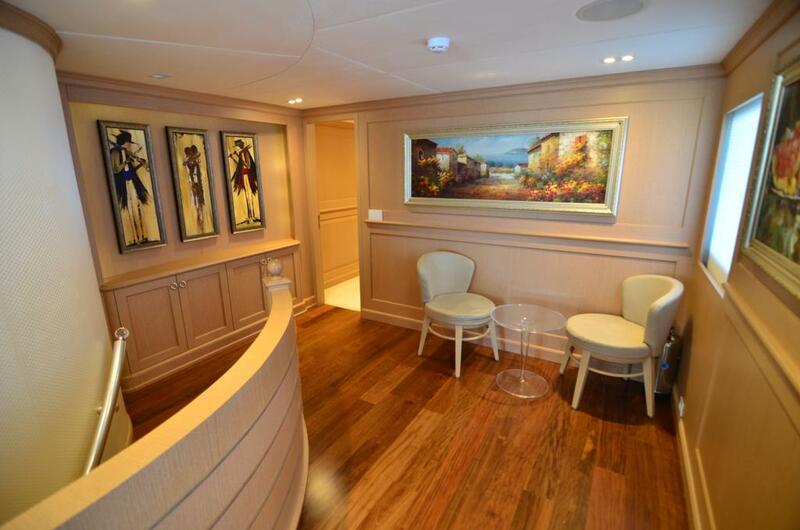 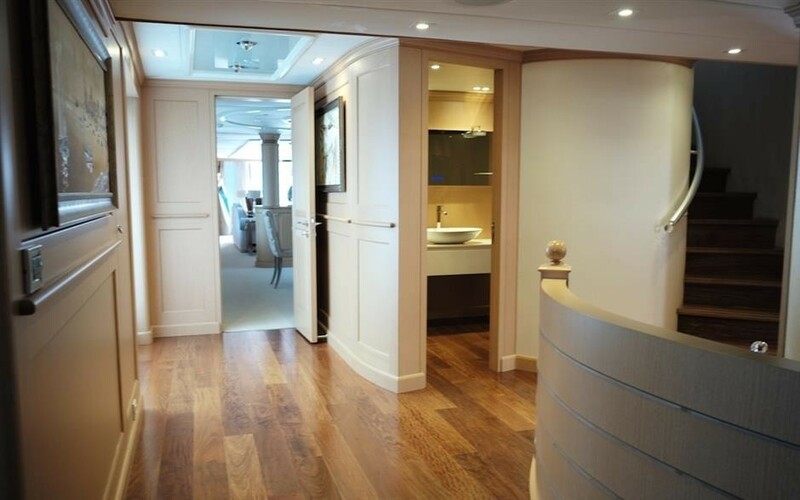 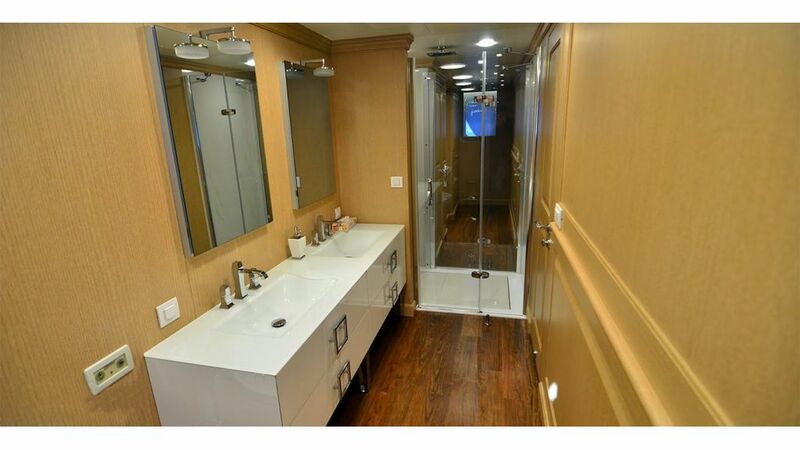 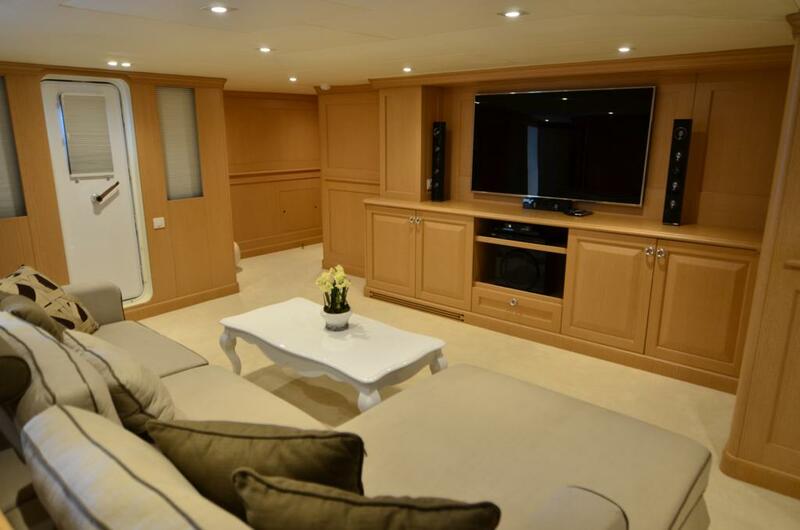 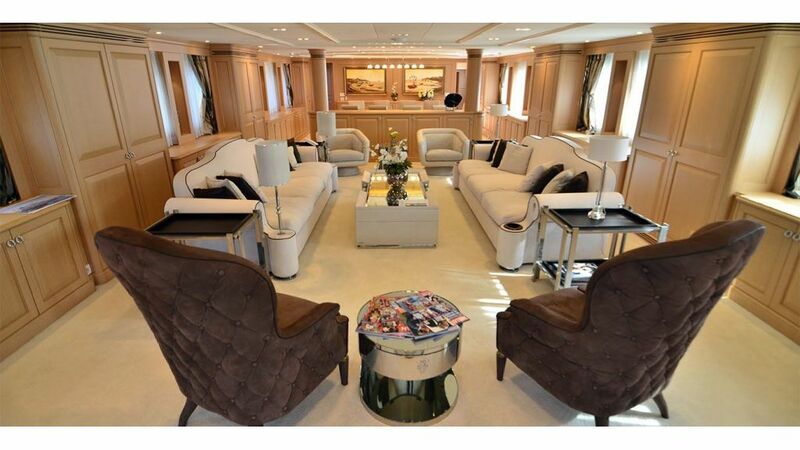 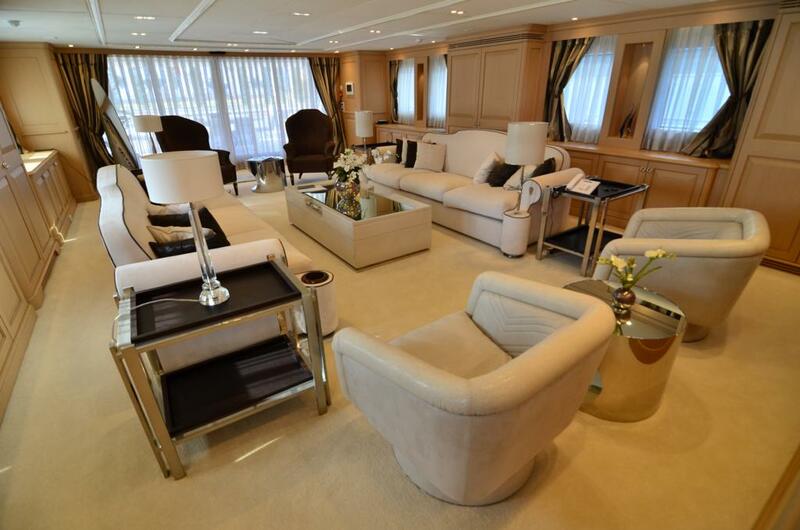 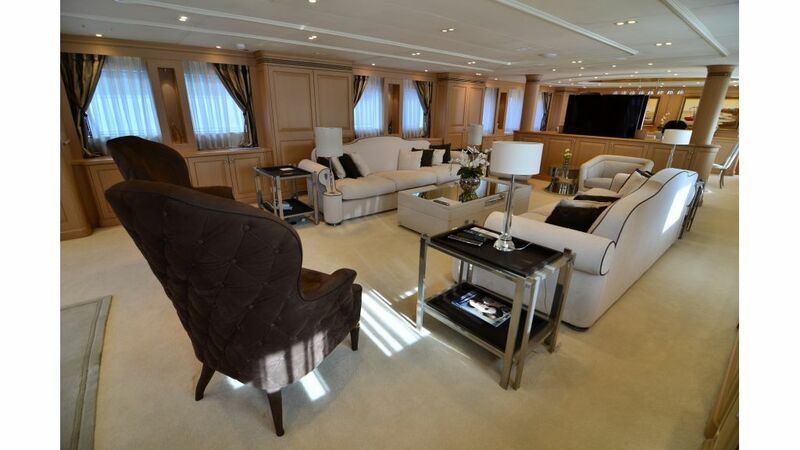 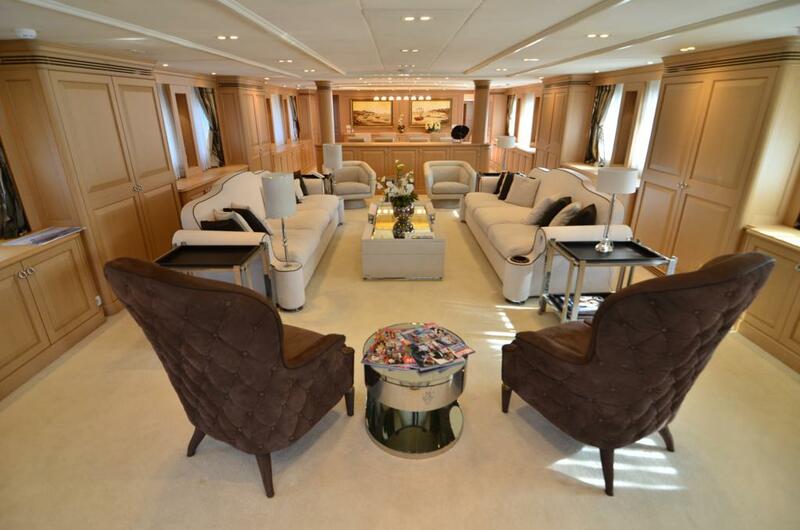 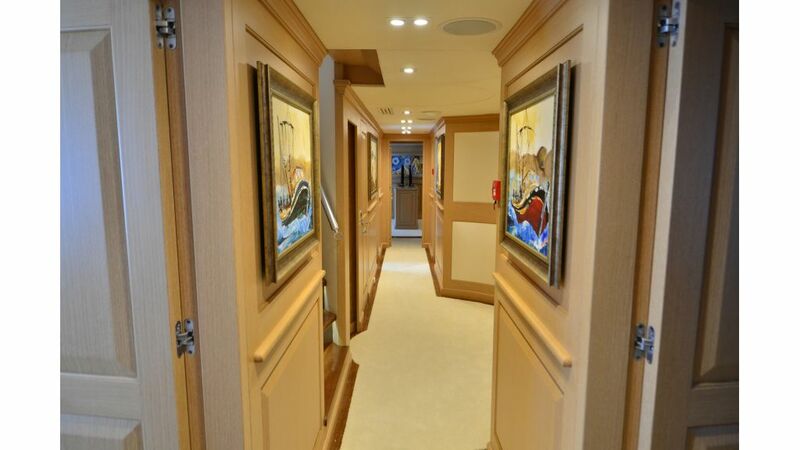 Above, the upper deck has a private aft deck and a fabulous relaxing area dedicated to the master cabin. 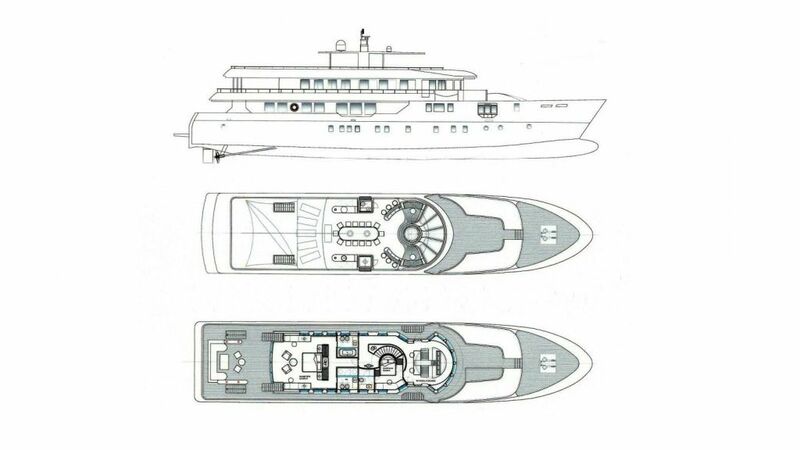 The top deck is perfect for entertaining and sunning, complete with a partially retractable roof, Spa Pool tub, sun pads, turntable sound system and helipad. 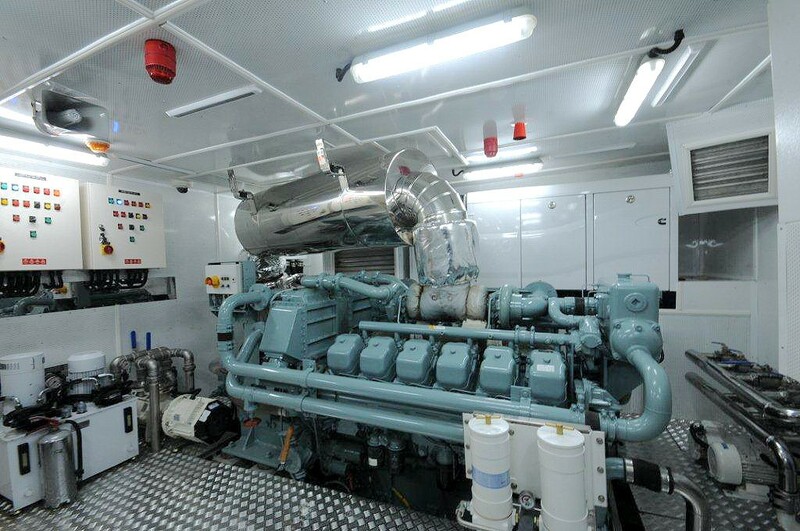 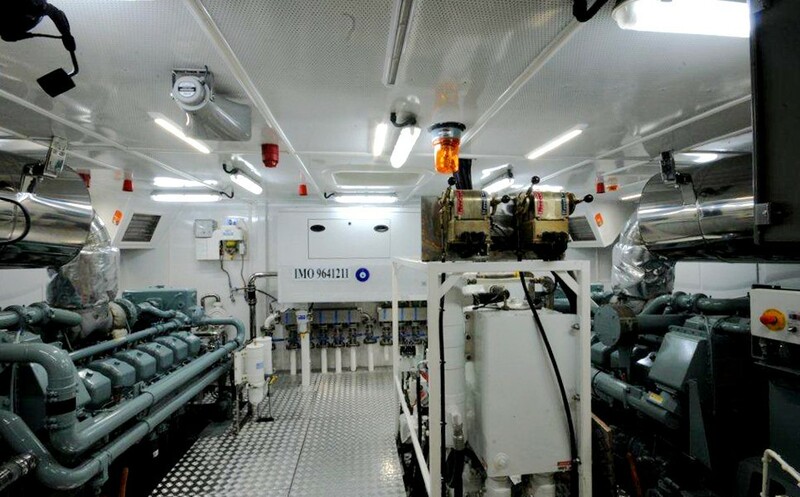 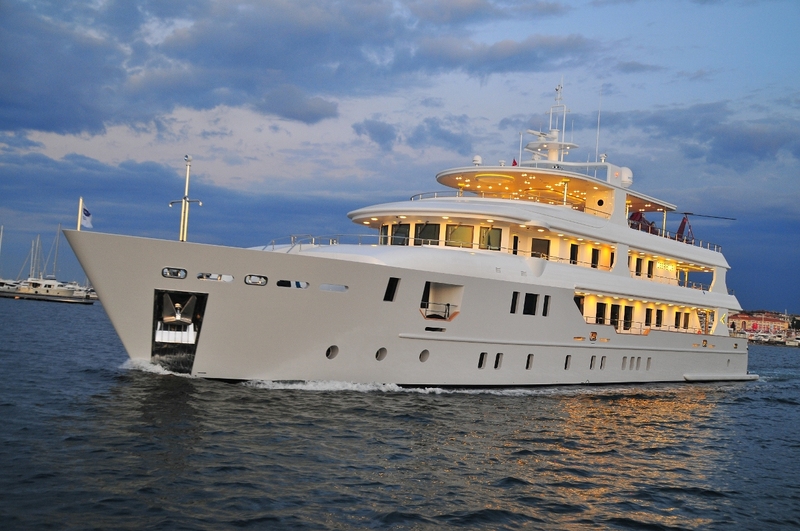 Luxury yacht PALMARINA is run by twin Mitsubishi S12A2-MPTK 776 kW engines. 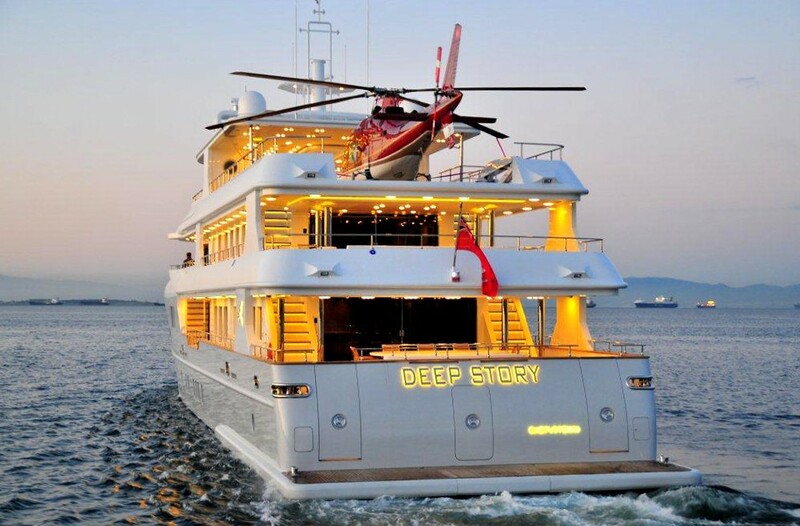 She can reach a maximum speed of 15 knots and a cruising speed of 13 knots. 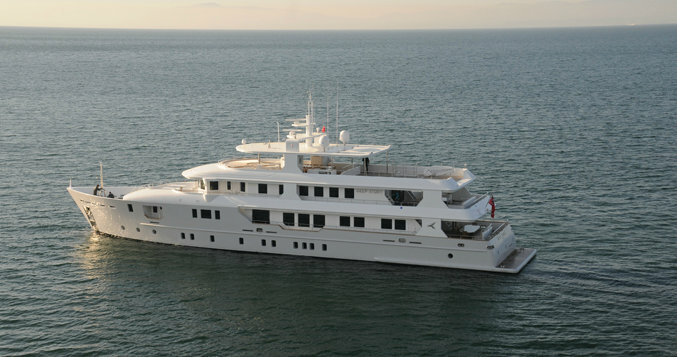 She is RINA as well as MCA LY2 classed. 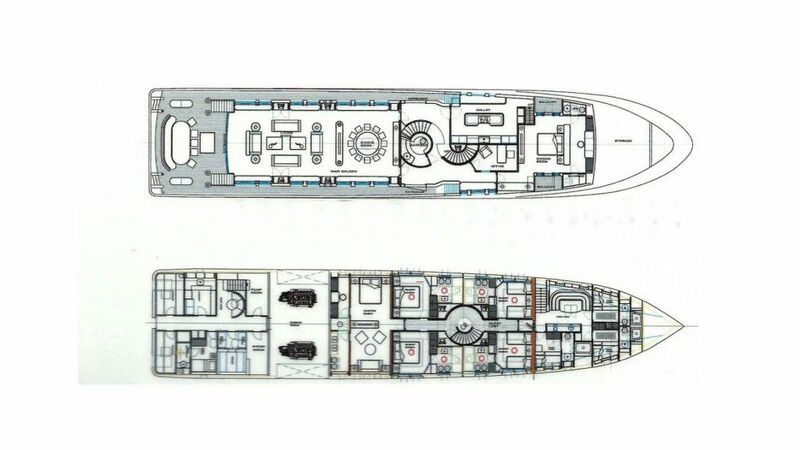 Her maximum beam is 8.50m (27.9ft), and her draft is 2.15m (7.1ft). 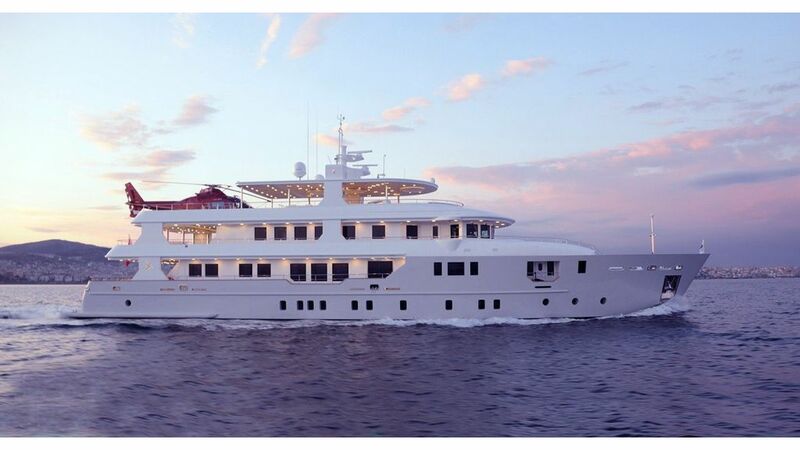 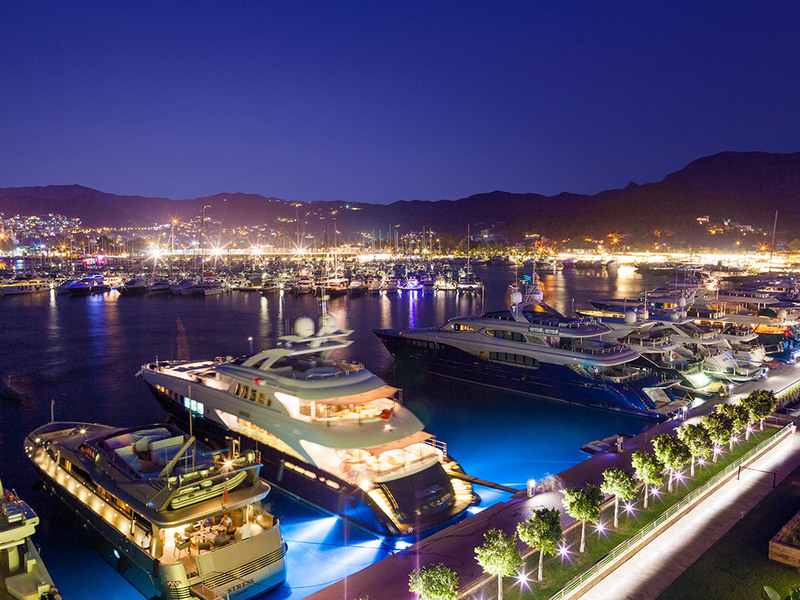 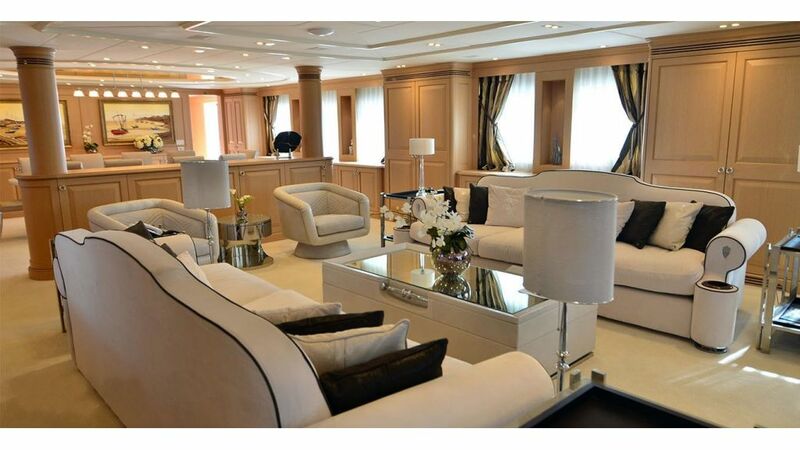 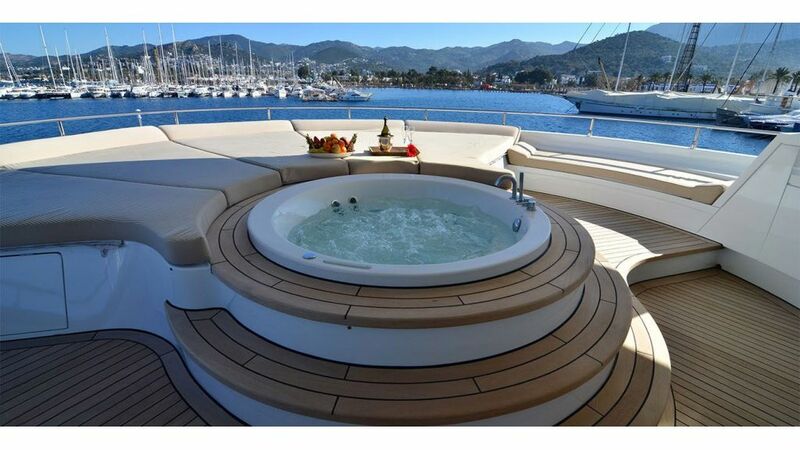 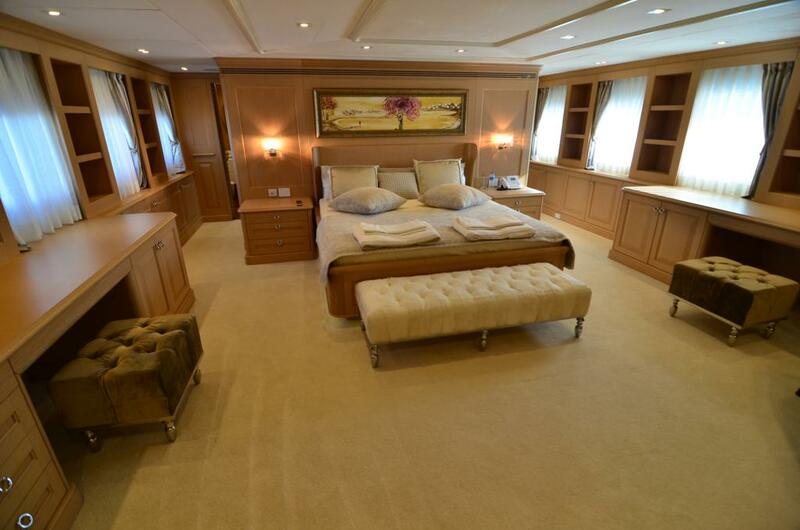 Superyacht PALMARINA offers six en-suite deluxe cabins for up to 12 guests. 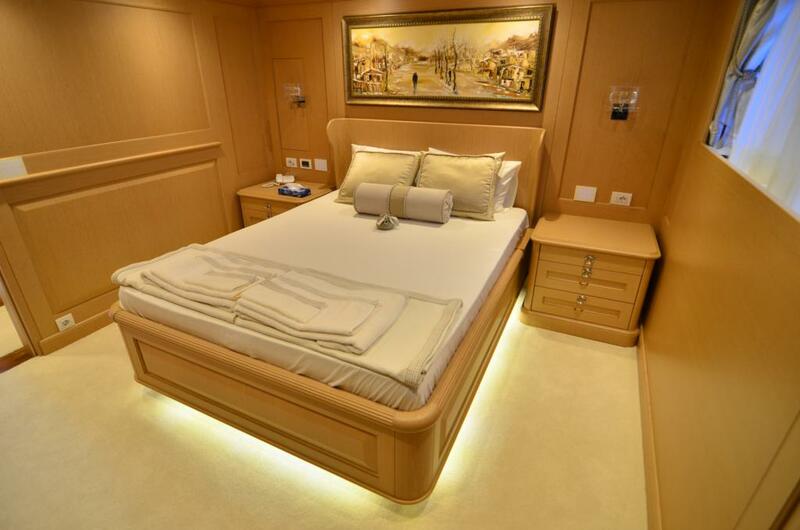 The master suite is on the upper deck aft of the pilothouse boasting a full beam cabin, king size bed, panoramic views and private deck. 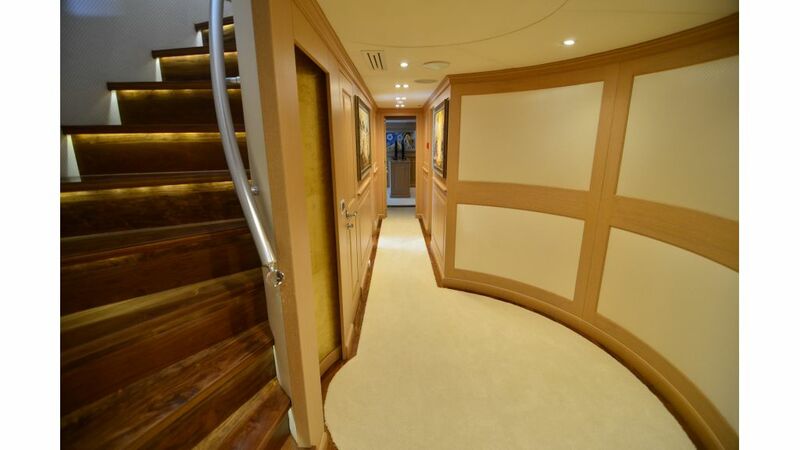 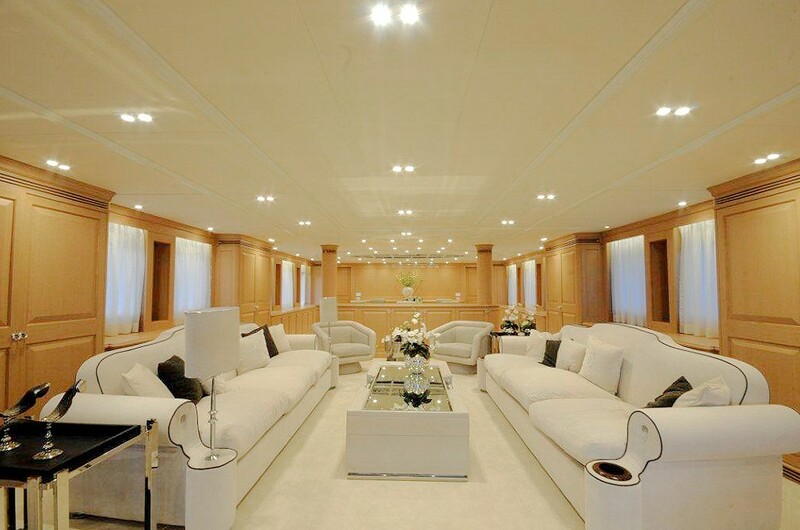 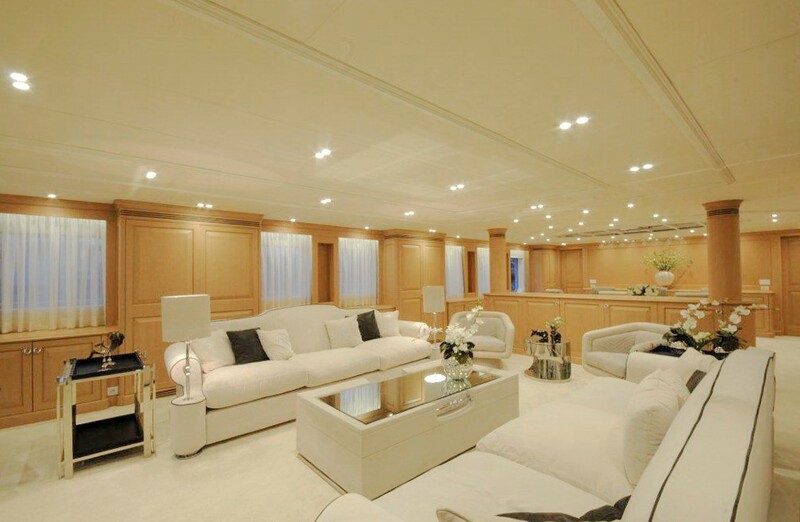 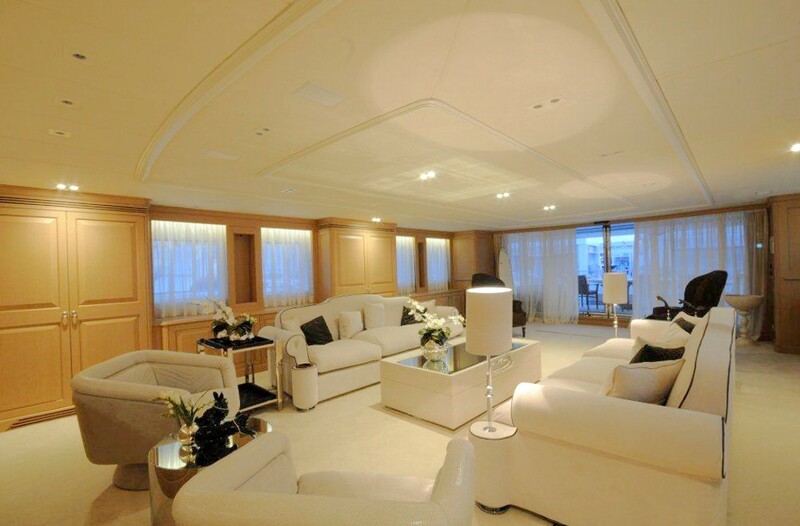 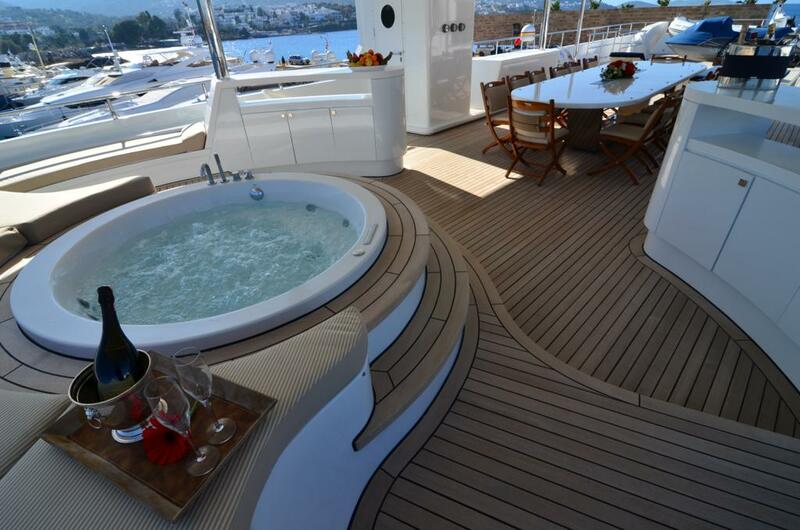 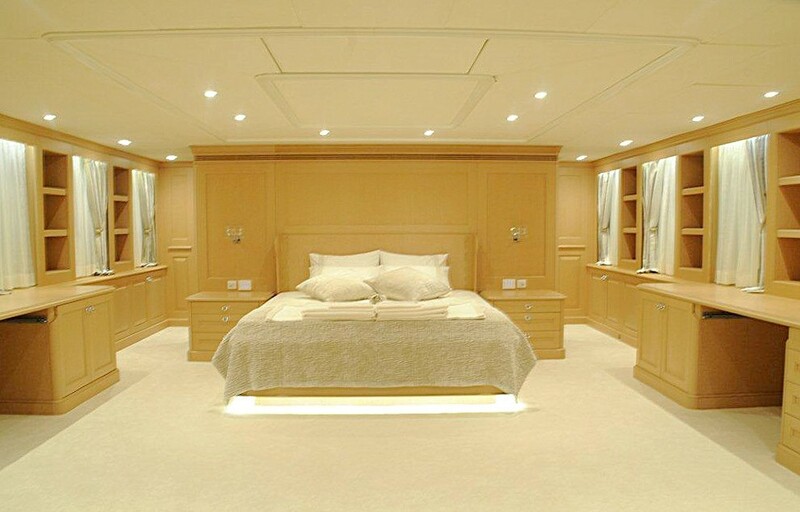 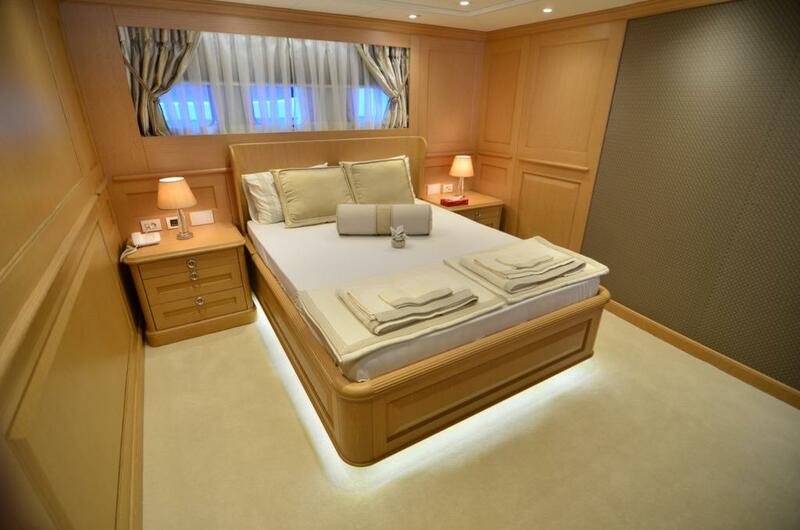 Below decks, a VIP cabin is a full beam of the yacht with a queen size bed. 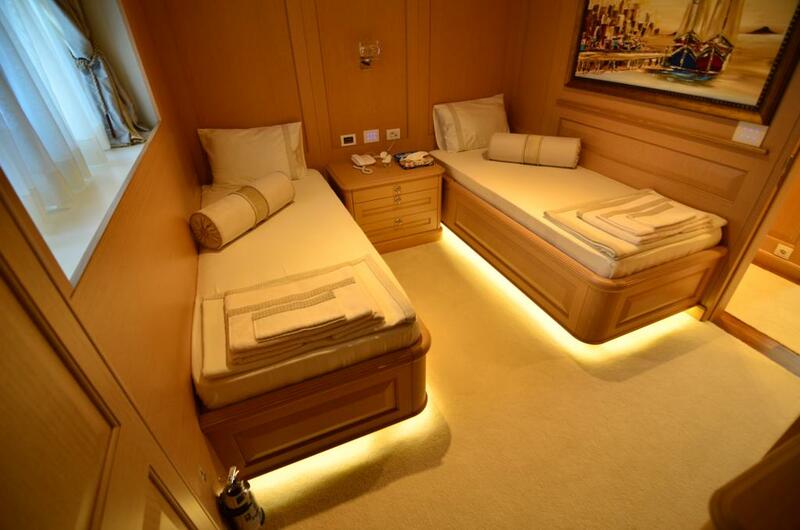 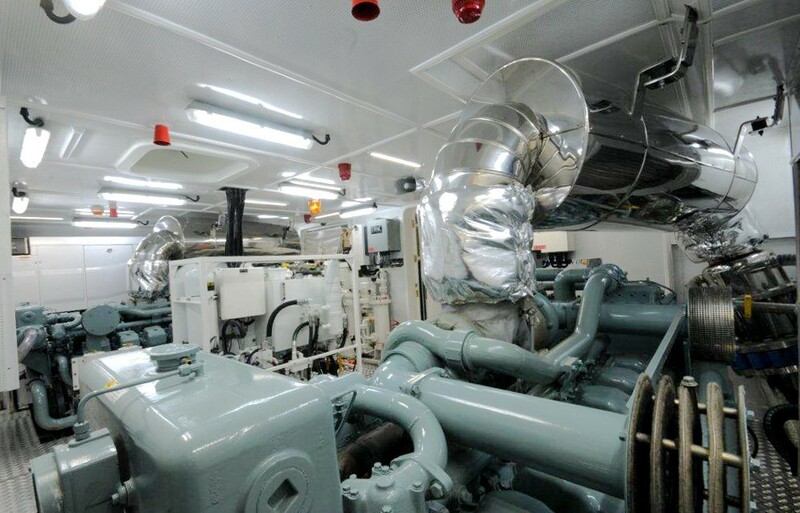 Also on the lower deck is a further two double cabins with double beds and two twin cabins with side by side single beds. 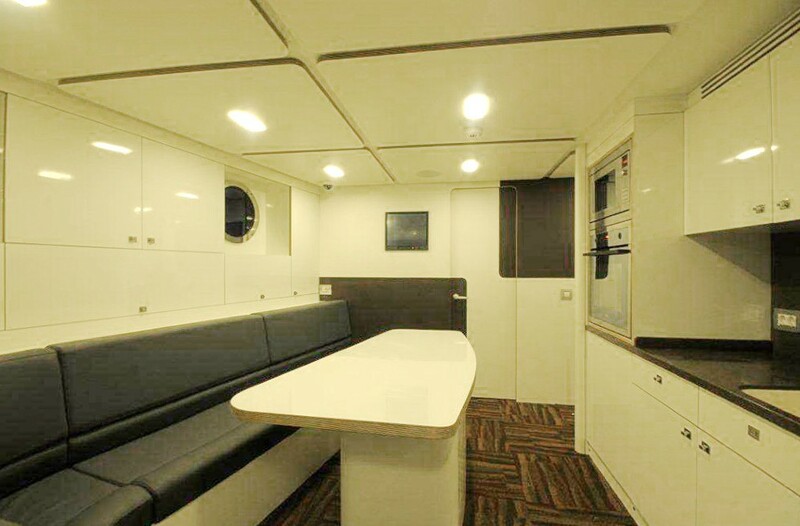 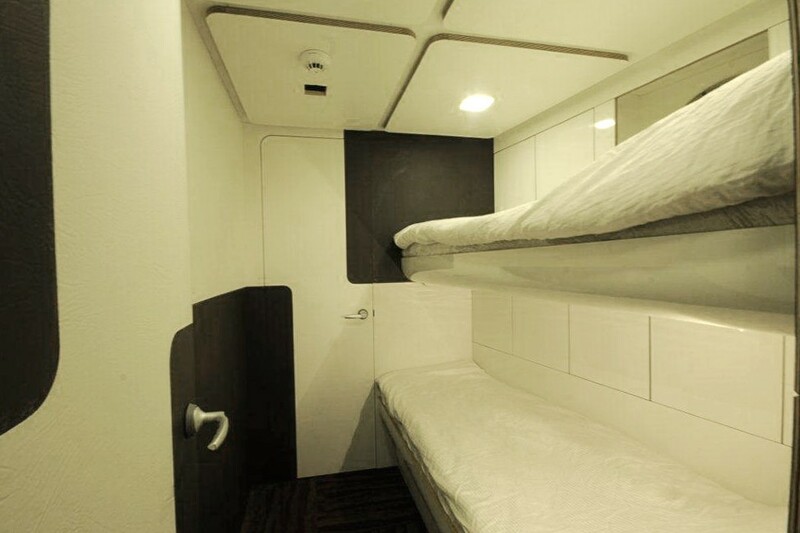 Each cabin has a serene and stylish ambience and boasts TV/DVD entertainment.